As well as 18 big-brand briefs, this year’s New Blood Awards have something extra on the go too – New Blood Side Hustle. We're on the lookout for the people making their passion projects happen. For the raw creativity and entrepreneurial spirit that’ll drive our industry forward. 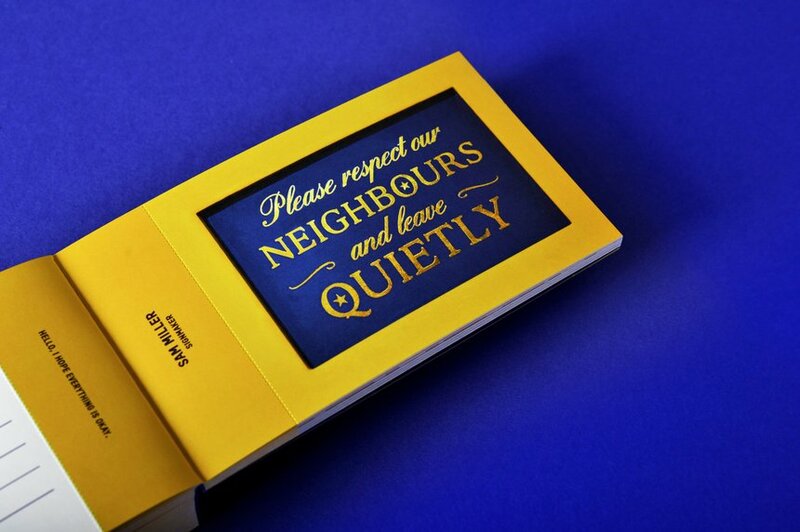 The self-initiated side projects that have become the main event. With that in mind, we’re throwing a spotlight on the doers out there, who aren't doing things the done way. 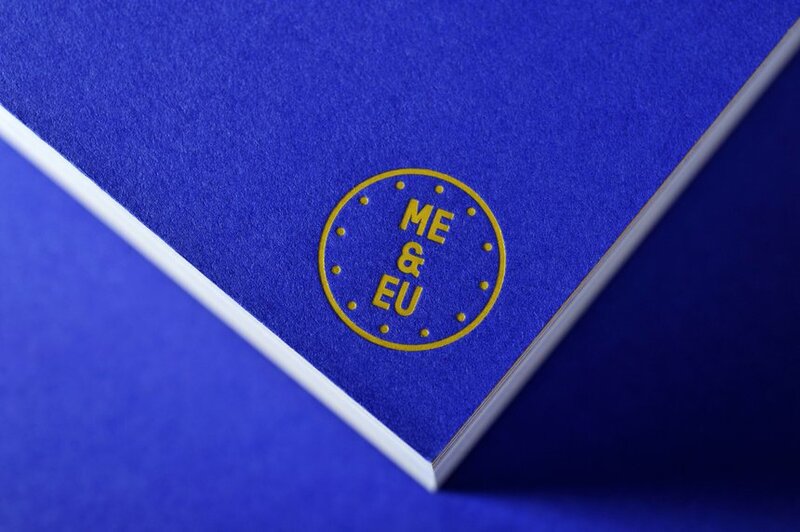 We start by quizzing New Blood alumni, Sam T. Smith and Nathan Smith, on their ME&EU project. 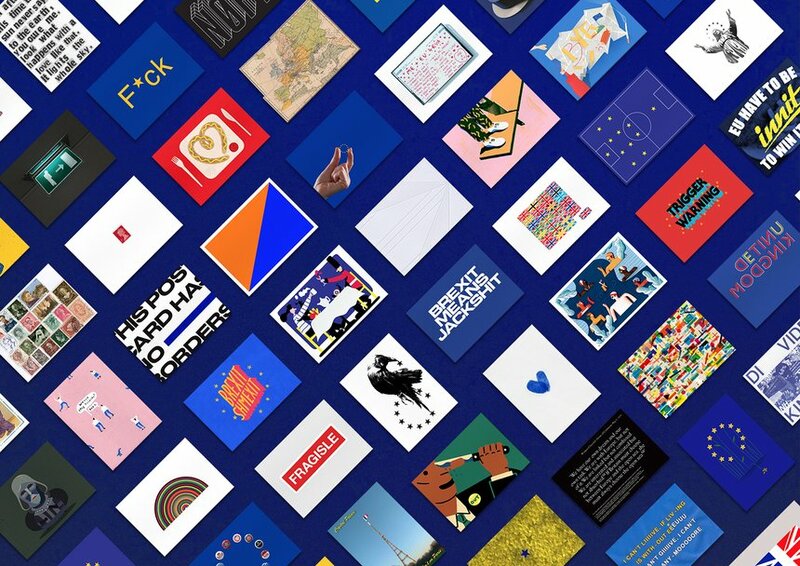 In the weeks following the Brexit vote, Sam and Nathan provoked the UK’s creative community to document their reactions to the referendum result. 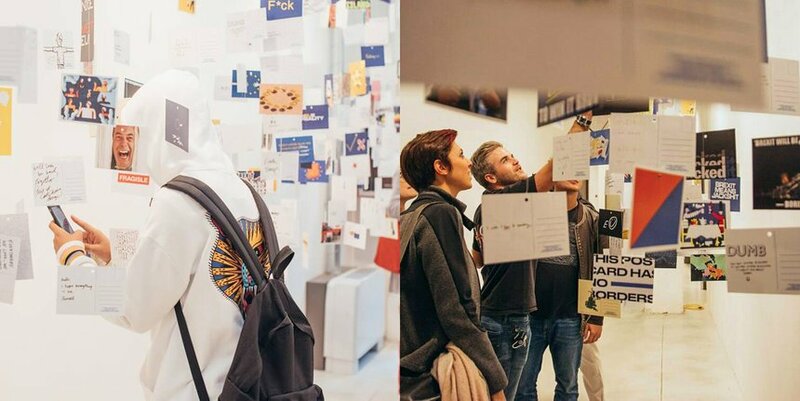 They chose the humble postcard, a symbol of travel and crossed borders, to house the responses. 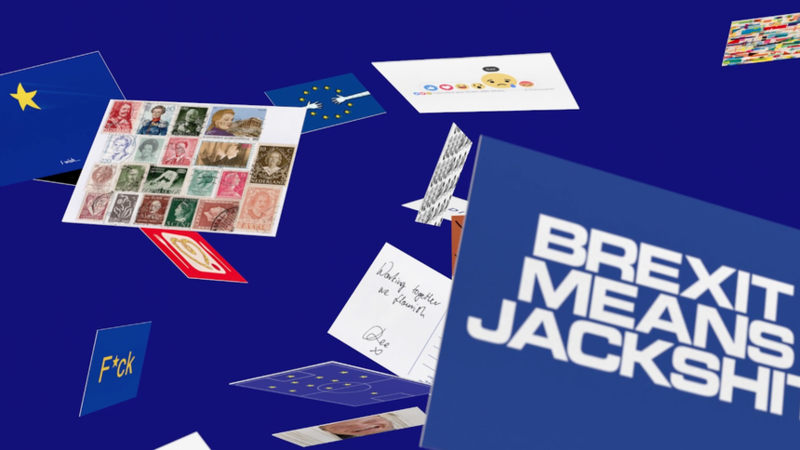 Each of the 116 cards featured individually designed face sides, loaded with humour and opinion, and backs with handwritten messages. This collective act created a powerful visual commentary on the political and personal climate. 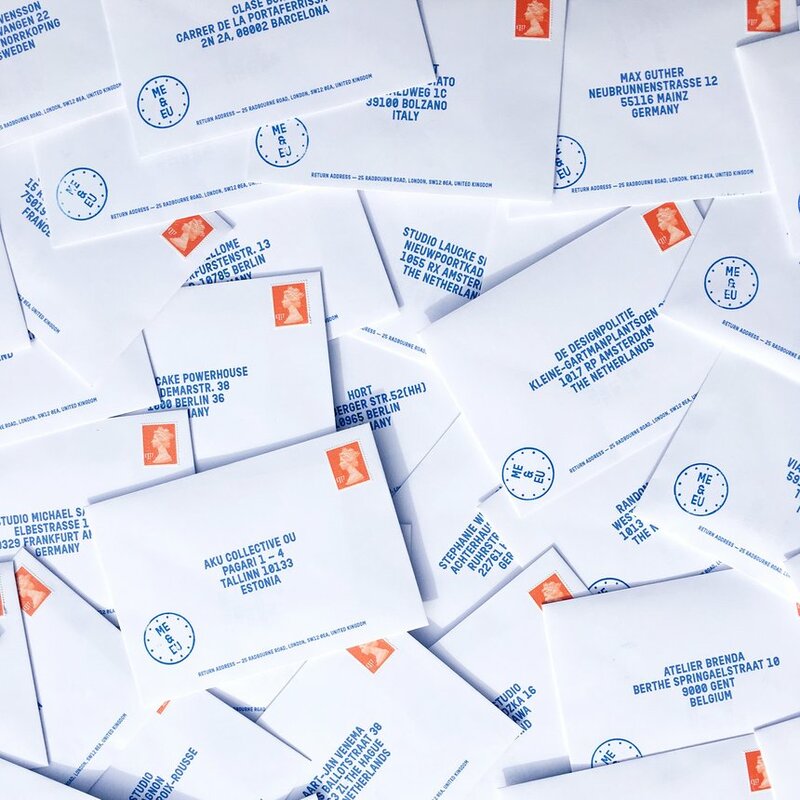 When Article 50 was triggered, they mailed the cards to studios and agencies in each of the remaining EU countries in a bid to continue a dialogue, despite the growing sense of division. The project obviously came about as a direct result of the EU referendum, but for Sam and Nathan this was about more than a timely opportunity. 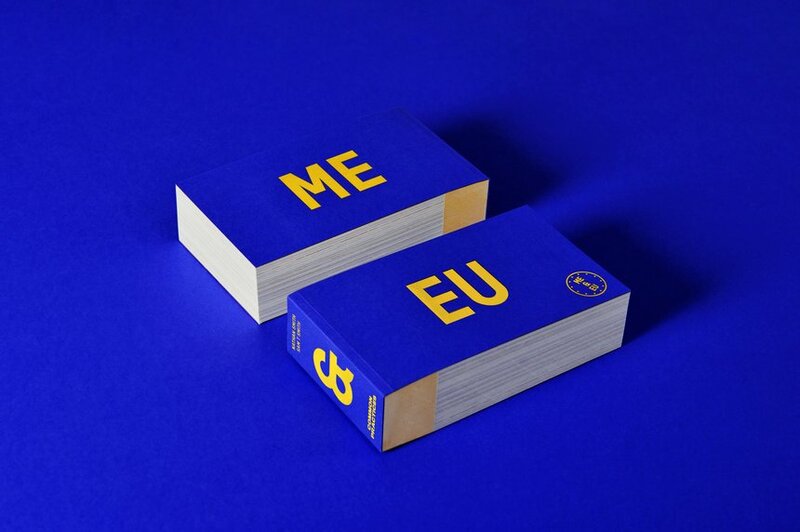 “Brexit affected us in a way that a political decision hadn’t affected us previously. We felt so strongly about it that we knew we wanted to do something, however small that may be. For us, it was about trying to look outward when Britain was seen as looking inward, to attempt to unite people at a time of such division and to do something positive in an otherwise negative climate". The postcards themselves have been on a journey too, and not just to Europe. First, the project manifested online, capturing the attention of the creative community, press and regular joes alike. The next stop was an exhibition, where the provocative array still confront visitors of the Design Museum as part of Beazley Designs of the Year. And now, their final destination is in book form. 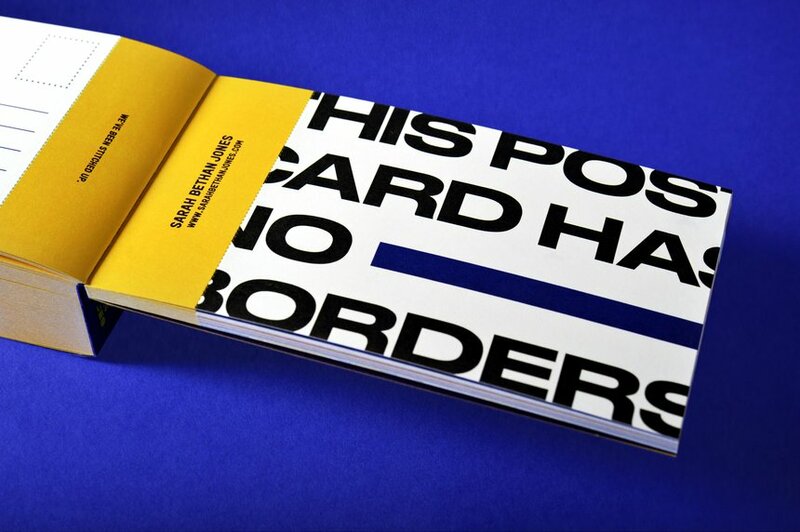 Sam and Nathan teamed up with Craig Oldham’s Common Practices to publish the postcards. 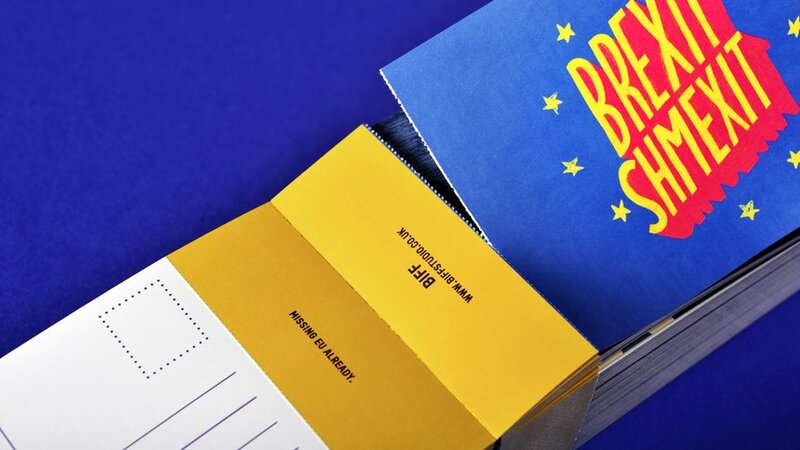 They chose to do it as a voucher book, meaning each postcard can be torn out and the conversation the project initially instigated will be shared wider. It’s been quite the ride. But the two D&AD Pencil-winners held on tight to their initial passion for the project to keep them going. And spreading the word meant they had to follow through. All the way through this, Sam and Nathan were both holding down day jobs as designers at GBH. They pulled it off with plenty of sleepless nights and sacrificed weekends, but it wasn’t the hard slog you might imagine. So after all that, what do they reckon the secret to a good side hustle is? "This is definitely cliché and we’ve all heard it before — ‘It's all well and good having an idea but you’ve got to actually do it’. But as much as we’d heard it time and time again, this project proved it for us. The time between thinking of the idea and actually doing it was shortened because of the topic and crucial timing. It wasn’t an instant success but a case of making many, sometimes repeated, steps and starting really small. Don’t be afraid to just go for it, some things work out, some things don’t and some things take a while. Take the risk regardless, because you’ll learn from either experience." If you have a side project of your own, check out New Blood Side Hustle, and start shouting about it.